Koh Phi Phi Apartments can't be found. The island is so small and dominated by hotel, resort, guesthouse and backpacker accommodation that the island has no apartments for rent or sale, in the sense of what you can get in Phuket, Krabi, Samui or Bangkok. However this article gives you the next best possibilities. Koh Phi Phi Apartments would take valuable space on an island where the best return for the landlord is in the tourist hotel business. 2 factors collide to make this an unchanged rule in the last 20 years I have associated with the islands. The Koh Phi Phi has only 3,500 rooms for accommodation and although this inches up every year it is not enough for the demand which is worldwide. 90% of the island is mountain, there are no cars or roads as such and mainland electric hasn't arrived at the island and so flat land is a precious commodity and 99% of it is taken up. All construction on the lower slopes is prohibitively expensive. The demand of the tourist world to visit Koh Phi Phi is so great that over 7 months the island is 98% full which is a staggering statistic. You won’t find a live in, kitchenette-service-apartment-type accommodation but the rest of the article explains what can be done. So there are no luxury Koh Phi Phi Apartments but the way to address this is to find the quality hotels that make sense to you and take their simplest rooms. This gives you the standards but it will not necessarily the views or space. 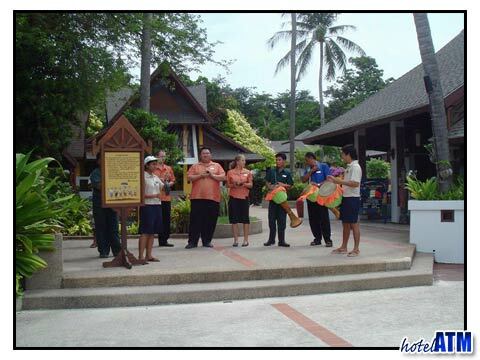 The top hotel and resorts are Zeavola Phi Phi Resort, Holiday Inn Phi Phi Island and Outrigger Phi Phi Island Resort and Spa (previously Phi Phi Island Village Resort And Spa)and these are in the north of the Koh Phi Phi Don. Although quality they will not have the variety of local environment needed for a longer stay and may be the 4 star Phi Phi Island Cabana Hotel is the best that is next to Phi Phi Don Village. I would also look at the Mama Beach Residence which although rated 3 star is limited by its facilities rather than the quality of the room. The same applies to the 3 star PP Palmtree Resort but both are in the main village. If you can't get Koh Phi Phi Apartments then a long stay deal might give you the value you are looking for. The Phi Phi Hotel Deals shines a light on all the Free Night Specials, Fixed Night Promotions, Special Discounts, Early Bird Offers Honeymoon offers by month. In addition hotelATM.com in association with phi-phi.com offers a free night deal on every Phi Phi Hotel, resort or guesthouse for every stay of 15 nights or over. The best way to get Budget Koh Phi Phi Apartments like accommodation is to search the best budget hotels link and scroll through the pricing using the High: Low buttons on the right to show the highest price or lowest price first. Some further good articles on budget accommodation can be found at Phi Phi Accommodation articles which lists further articles like 'Phi Phi Island cheap accommodation', 'Koh Phi Phi discounts', 'Phi Phi cheap rooms', 'Ko Phi Phi guest house', 'Ko Phi Phi hotel deals', 'Cheapest guesthouse in Ko Phi Phi' and more.